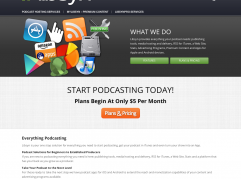 Liberated Syndication (libsyn) is the largest podcast hosting company is the industry, with more than 10,000 shows. 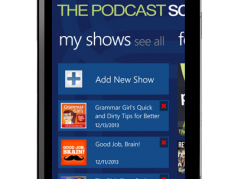 Libsyn is home to some of the most popular podcasts such as Marc Maron, Zig Ziglar , Jay Mohr, Usher, Quincy Jones, Joe Rogan, Adam Carolla, NPR, and Kevin Smith. Libsyn began life in 2004, in the basement of a Pitt student’s apartment. In the beginning, libysn was rebellious and raw, but as time has moved forward, so has libsyn. Today libsyn is trusted by more than 10,000 independent and professional users. The technology has come a long way from it’s inception and it was time for libsyn to move forward and evolve it’s look, to reflect the industry leader that it has become. While the company still holds the same beliefs, regrading peoples rights of expression, it does so in a more professional and polished manner.